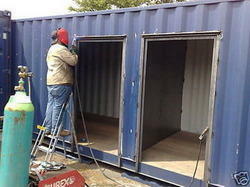 Our company has achieved laurels for providing Container Modification Service to the clients. This service is provided by our experts using optimum quality material with the aid of cutting technology. Container Modification Service is duly tested on various parameters under the observation of our highly experienced experts. Through centralised purchasing management, the total volumes are negotiated with first-class carriers to ensure quality, space allotment and optimum pricing. Banking on the skills of our professionals, we are involved in providing excellent Container Repair Service to our clients. This Container Repair Service is widely appreciated in different industrial regions for excellent working and timely execution. These services are provided at pocket friendly prices. Haryana Bombay Roadways has its own fleet of containers and containerized vehicles to handle all types of Containers. Our Containers go through the most stringent test before loading like humidity check, leakage check, and floor check and after these checks only, the containers are loaded and set for the movements. International containers come into India on a Customs transit bond filled by the party who brings in the containers and with a specific notation stating that these units are not meant for use in the Domestic Tariff Area and with a provision that they will be re- exported out of the country within 6 months from the date of import. 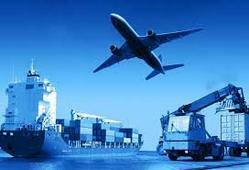 We also provide services of Air Freight Forwarding & Sea Import Service. We are container service provider. Also offer close body container for transportation. Our expert drivers and other professionals are responsible for the safe and timely delivery of the consignments. With the assistance of our dexterous team of professionals, we are involved in providing shipping container services for numerous industries.